Celebrating the kid in all of us - at the Zoo! Do you know OREO turns 100 years old this year? Yup, the 'twist, lick, dunk' biscuit. And it has been around for one hundred years already. So to celebrate, OREO wants everyone to rediscover the spirit of childhood by celebrating the kid inside all of us! Well, definitely easy for di-di, mei-mei & I! I would say it would be a piece of cake for Daddy too, especially since Mummy classifies him as a big kid. Hee hee. And so, thanks to OREO, we received loads of OREO goodies for us to munch. 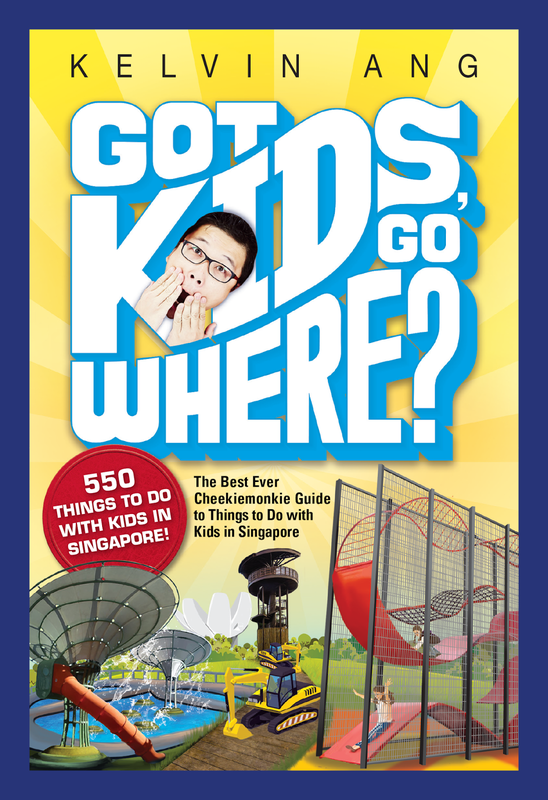 Not only that, we were given passes (along with Kong-kong & Por-por) to the Singapore Zoo! Someone is especially overjoyed at that prospect. The last time when we were at the Zoo, mei-mei still didn't recognize any animals yet. This time around, I would say she was easily the most excitable one - since she was always ready to shout out the name of the animal whenever she saw a familiar one. Like birds. Our cousin, Jaeden, joined us together with his family for our weekend Zoo visit as well. And he and mei-mei were an enthusiastic bunch - whenever they recognize any familiar animals that is. Mei-mei was particularly taken in by this group of animals, where she even imitated them by hopping around. Any idea which animal that may be? Yup, the kangaroos at the Australian Outback enclosure. With the erratic weather we are having nowadays, Daddy had prayed for good weather for our Zoo outing. And luckily for us, the skies listened. Although they overdid it a little, for the weather was extremely hot! Haha... ok, we shan't complain too much because that gave us an extremely legitimate reason to immerse ourselves longer at the water play area at Rainforest Kidzworld later! But first, product placement time! Hee hee... 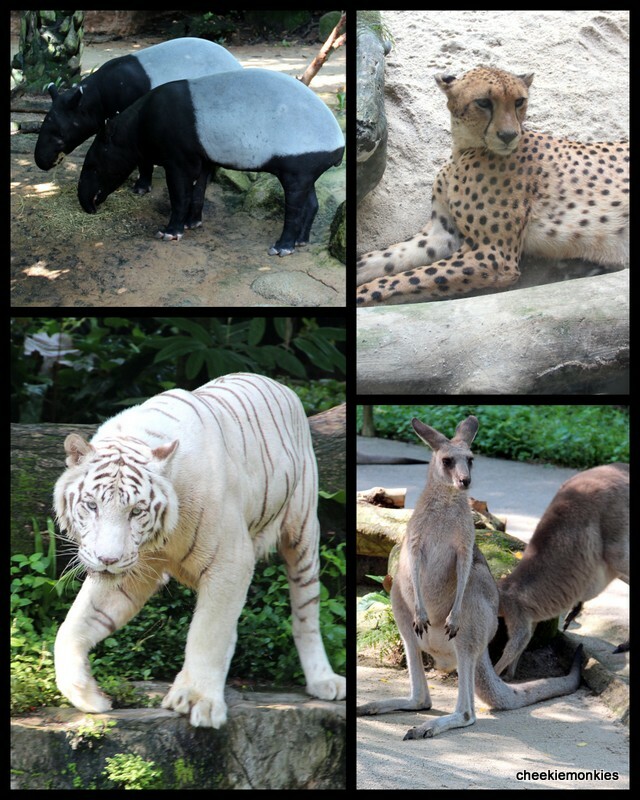 I have to say though, that the Mini-OREO go-paks came in rather handy during our Zoo visit. No, we didn't feed them to the animals! But rather, it kept our rumbling tummies at bay as we worked up an appetite with all the walking done. Yup, all the walking done to see all the animals... including one very cute baby elephant. Finally, the moment that di-di & I were looking forward to. The Water Play area at Rainforest Kidzworld! As you can see, we were well and truly prepared for the occasion. Now, if only Daddy would stop asking us to pose for photos and let us continue with our free play! I guess no words are needed to describe our joy at the water playground then. Heh. It was a good thing too, that the adults had KFC and Ben & Jerry's there to keep their mouths occupied while we kids were having our own share of fun! And the adults must be in a generous mood, because we clocked in more play time at the other playgrounds after we were done with the wet one. 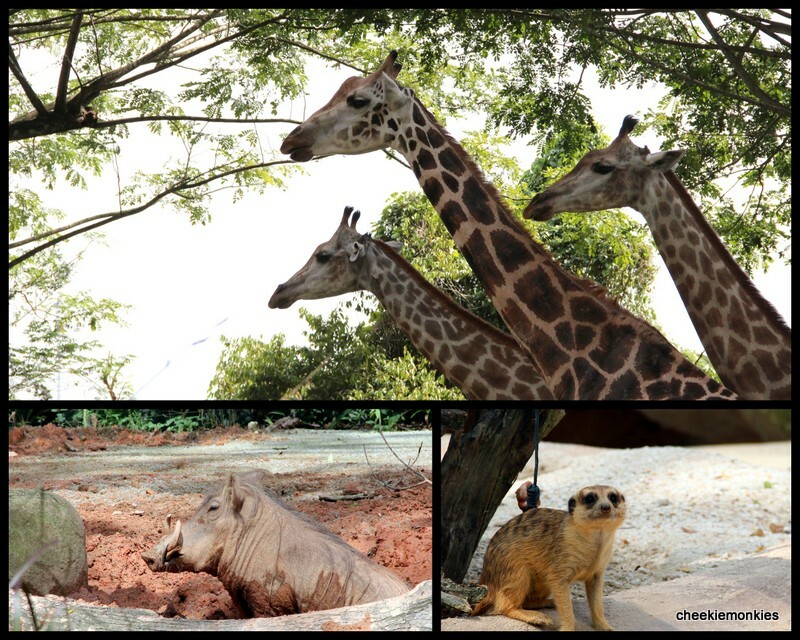 We continued with our animal-spotting after leaving Rainforest Kidzworld. And I got the chance to come into close contact with a real lion skull! With that, it was time to head on home. We had spent close to 7.5 hours at the Zoo - a record I think. But all of us thoroughly enjoyed it I'm sure. Thanks, once again, to OREO for the Family Day Out at the Zoo! As part of OREO's 100th Birthday celebrations, OREO is giving away more goodies! Simply join the “OREO moments” contest on Facebook by uploading a photo of you and your family bonding over OREO cookies and stand a chance to win a limited edition OREO thumb drive and a $50 OREO hamper! Have fun twisting, licking & dunking! And good luck!